Ok, whilst busy with the house purchase, I have also been prevaricating about editing all the photos of the last game Alan and I played week before last. So after a cancelled meeting today have decided to pull my finger out as I have two more game AARs to write up from this week, and need them out the way before I have a games session with Jon next week ! 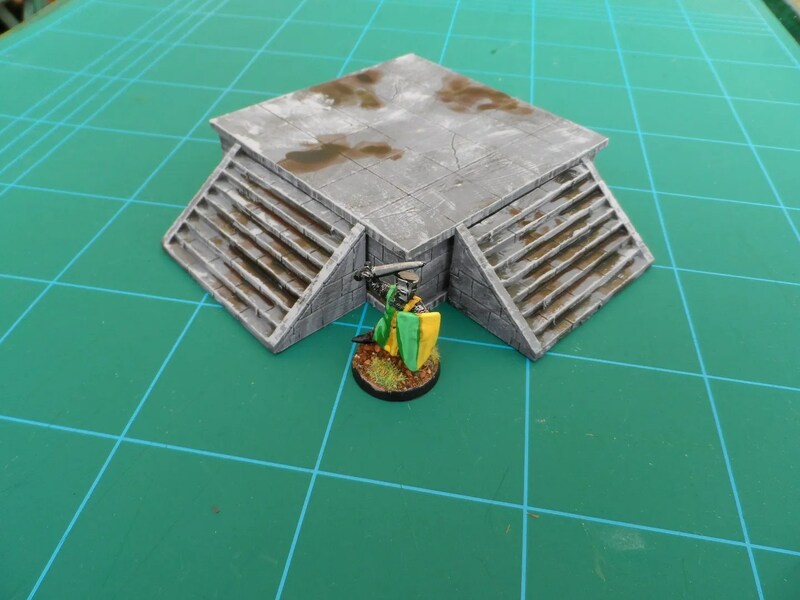 A jungle terrace from Blotz, though I can’t see why it can’t be used for Frostgrave or Mordheim. The steps are separate pieces so you can move them to different sides or omit them. easy to put together and only £5 IIRC. I’ve used so much of the grey paint I’ve had to get another tester pot done up by B&Q. 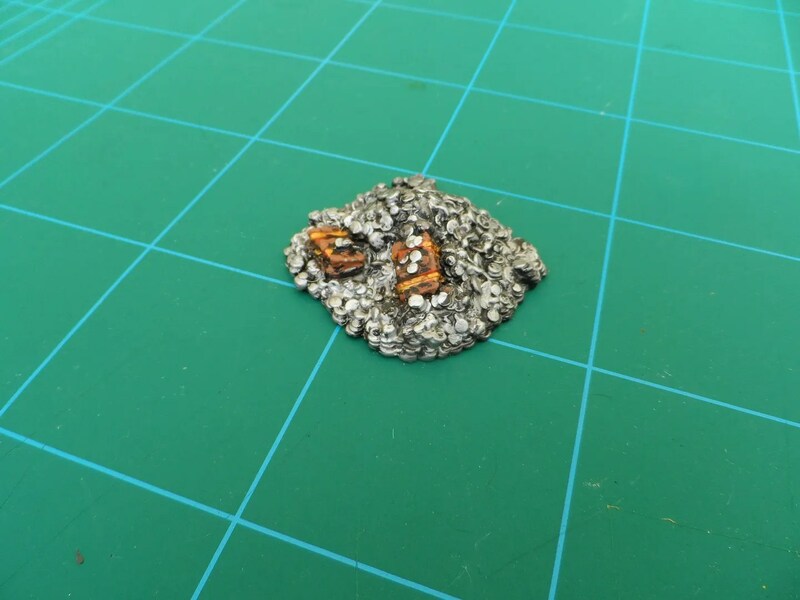 Mantic Terrain Crate treasure pile painted silver rather than gold – I intend to make it a query of “Is it Silver, or Platinum ?”. 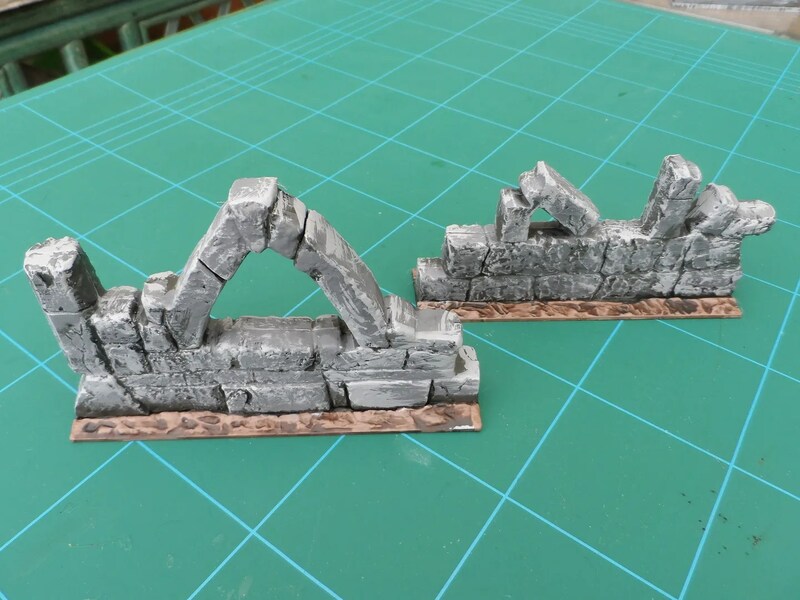 Renedra Frostgrave ruins, I bought 3 of the spurs to bulk out an order. 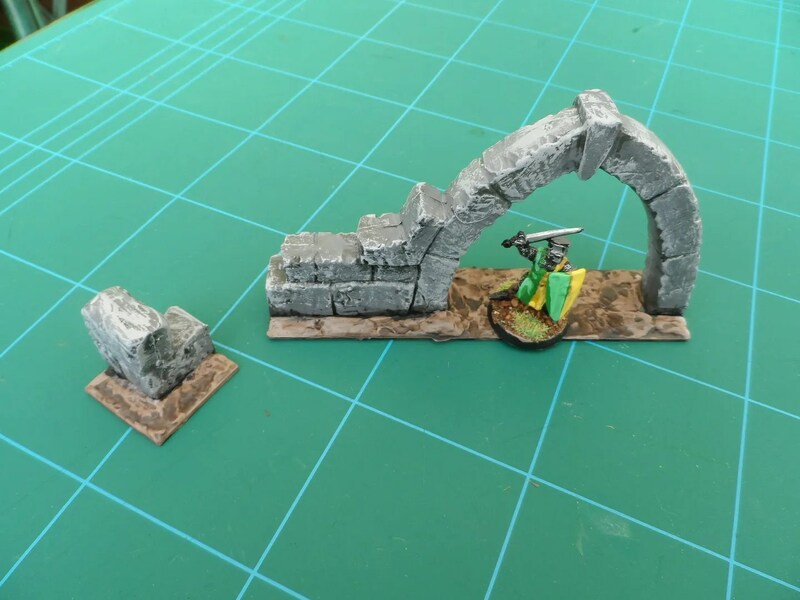 The main archway. 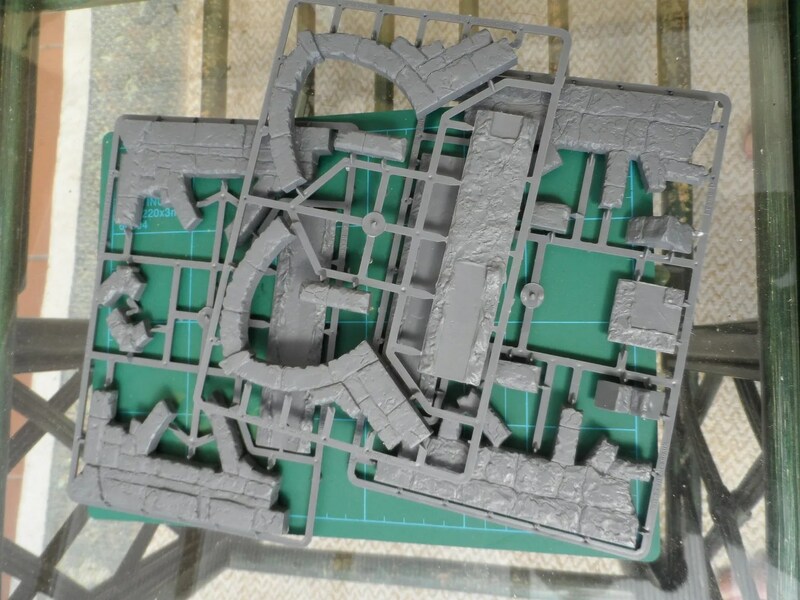 The kits are nice and chunky, being very thick (about 1cm+). The other two items. 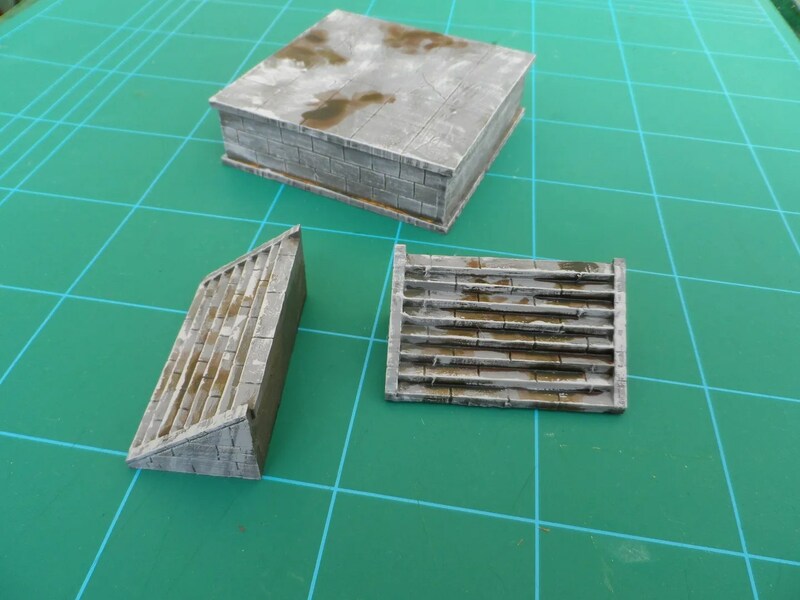 Not going to set the world alight, but still very useful items, so if you’re getting bases from Renadra, I’d “accidentally” include a few of these sprues. Now back to finishing off the cultists I painted, yup another war band is in the throes of formation.